Offering Hip Hop Dance Instruction Hip Hop DVD Video Tapes Learn Hip Hop Dancing How to and more with easy online ordering. 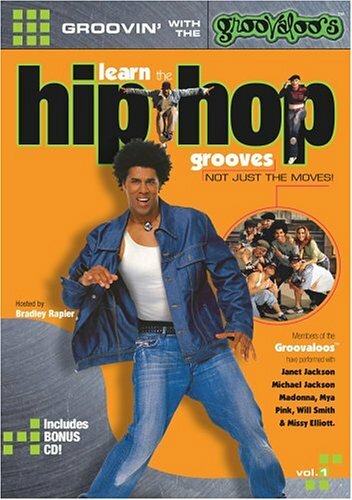 This DVD offers step-by-step instructions for all the foundation breakdance moves and makes it easy for beginners to get started. Each basic move is broken down into simple steps. Once you've mastered the basics, Disc 2 will show you how to perform more advanced moves. You will be learning from master bboy instructors, Break Easy and Zulu Gremlin. Basic Moves features detailed instructions by Break Easy for the foundation moves such as Toprock, Footwork, Spins and Freezes. Bonus features include a live Master Class taught by Zulu Gremlin, interviews with old skool legends Kid Freeze, Lucky Strike, King Uprock and more. Power Moves features instructions for more advanced moves such as Flares, Headspins and 1990’s. Bonus features include interviews and over 4 hours battle footage from the Chico Got to Have His Share and Braggin' Rites events in New York City. If you want to get started in breakdancing, this is the DVD you've been looking for. Disc 2: Stars, UFO's, Jackhammers, L-Kicks, Hollowbacks, Air Swipes, Munch Mills, Flares, Headspins, 1990s, 2000s, Trax. 'Learn to Hip-Hop' is a 20 minute video introducing kids to Hip Hop Dance. Great for parties or getting together with friends, this step-by-step instructional tape--based on the Joe's World Foundation's classes in Burbank, CA--includes a warm-up and dance combination with instruction by 11-year old Janelle Ginestra and four other kid hip-hoppers at all levels. Additional bonus routines for more advanced levels with Janelle and Shane Sparks, who has worked with Monica, Brandi, Sisqo, and many others. Learn how to do new and cool dance moves, and freestyle, beyond what you see in all those music videos! Approx. 20 mins. The bumpin’ book for hip-hop disciples (a.k.a. fiends), songwriters, all other writers, pop culture fans, linguists, and parents who are just trying to figure out what their kids are saying.